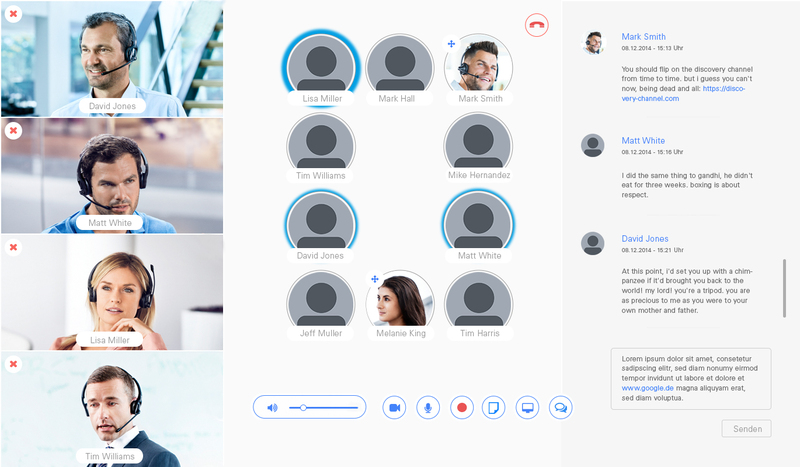 QLIPS is the next generation of online meeting solutions that offers excellent sound quality by making use of the integrated 3D-audio that has been developed for virtual and augmented reality applications. With this attendees will hear each other from their individual position around the virtual conference table. QLIPS requires absolutely no software installation as online meetings can be joined by any attendee by simply using their browser. QLIPS online meetings have full video conferencing included and allow for up to ten webcam streams to be displayed in the online meeting. Four of these videos can be enlarged for enhanced viewing or one video can be displayed full screen for one-to-one meetings or connection of conference room webcams. QLIPS comes with all necessary collaboration tools on board: Show your presentation to other attendees by using the screen-sharing feature, send presentation files and documents with the file-sharing feature and comment or sent links by the built-in attendee chat. If you want to record the meeting for later then press the recording button and QLIPS will send you the recording file after ever attendee has left the meeting automatically. 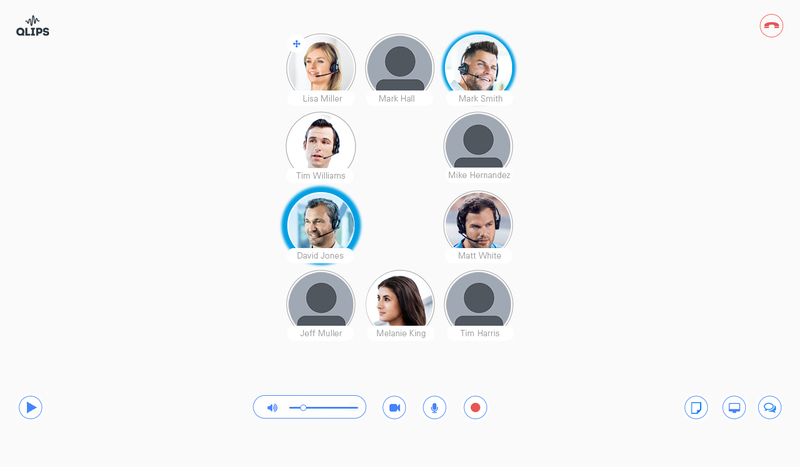 If a desired attendee is on the road a QLIPS online meeting can be joined either by phone dial-in or if sufficient internet access is available from any mobile device that runs on Android™ with the installation of a WebRTC capable browser. With its German-based server infrastructure and data centers that are ISO 27001 certified QLIPS provides highest data protection and fully encrypts all data transfers when attending a QLIPS online meeting. SuiteCRM Plugin that bridges the gap between Twilio & SuiteCRM. To establish connection with your customers, A state-of-the-art Telephony solution for Voice (Inbound and Outbound) and SMS to run your business more efficiently and cost effectively. Works great with both VOIP and Land Lines.